Quebec Magnetic is a live concert video album by Metallica, documenting two shows the band played at the Colisée Pepsi in Quebec City, Canada on October 31 and November 1, 2009 on their World Magnetic Tour, released on December 11, 2012. The album is the first to be released via Metallica's own label, Blackened Recordings. The album was announced on September 20, 2012, with fans voting online to decide which of the two shows recorded would be shown in its entirety; the remaining songs will be shown as "extras" on the album. On October 22, the album's tracklist, release date and cover art was released. A 33 second teaser trailer for the album was released on November 19. The album sold about 14,000 copies during the first week after its release, charting at number two on the Billboard Top Music Videos chart. The album contains songs from both shows, with songs not played in the main setlist included as extras. ^ a b "METALLICA: 2009 'World Magnetic' Concerts From Quebec City To Be Released On DVD". Blabbermouth.net. September 20, 2012. Archived from the original on November 22, 2012. Retrieved November 22, 2012. ^ a b c "METALLICA: 'Quebec Magnetic' DVD, Blu-Ray Artwork Unveiled". Blabbermouth.net. October 22, 2012. Archived from the original on November 22, 2012. Retrieved November 22, 2012. ^ "METALLICA Takes Ownership Of Its Masters, Launches New Record Label". Blabbermouth.net. November 30, 2012. Archived from the original on November 30, 2012. Retrieved December 1, 2012. ^ "METALLICA: 'Quebec Magnetic' DVD Teaser Trailer Available". Blabbermouth.net. November 19, 2012. Archived from the original on November 22, 2012. Retrieved November 22, 2012. 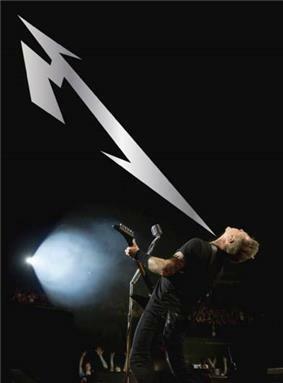 ^ a b "Metallica: 'Quebec Magnetic' DVD First-Week Sales Revealed". Blabbermouth.net. December 21, 2012. Archived from the original on December 21, 2012. Retrieved December 21, 2012. ^ "ARIA Top 40 Music DVD" (PDF). ^ "Austria Top 40 – Musik-DVDs Top 10 21.12.2012". Austriancharts.at (in German). Hung Medien. Retrieved February 27, 2013. ^ "DVD Music Top 30". ^ "Suomen Virallinen Lista – Musiikki DVD:t 50/2012". ^ "Album – Metallica, Quebec Magnetic [DVD]". Charts.de (in German). ^ "MAHASZ – Magyar Hanglemezkiadók Szövetsége". ^ "Classifiche: Archivio – DVD Musicali". ^ "Top 20 DVD Musical" (PDF). ^ "Swiss Charts – Music DVD Top 10 23.12.2012". Swisscharts.com. Hung Medien. Retrieved February 27, 2013. ^ "2012-12-22 Top 40 Music Video Archive | Official Charts". ^ "Ultratop 10 DVD Musicaux". Ultratop. Hung Medien. Retrieved February 27, 2013. ^ "Musik DVD Top-10". Hitlisten.nu (in Danish). ^ "Sveriges Officiella Topplista". Search for Metallica Quebec Magnetic and click Sök.